BEFORE: On the schedule for today is the film with the title made fun of on SNL, Winter’s Bone. AFTER: Winter’s Bone was met with critical acclaim and was nominated for four Academy Awards. It’s a good film, but not that good. The story revolves around Ree Dolly (Jennifer Lawrence) who needs to find her father, a meth cook, in order to keep her house and support her two siblings and ill mother. I found myself thinking about Breaking Bad, which also deals with cooking meth, many times throughout the film. Sad to say, Winter’s Bone is not nearly as good as the AMC drama. The film is confusing; not with what happens but why things happen. Following along with what happens on screen is no problem, but the backstory behind who these characters are and how they got here is not so easy to understand. Two of the Oscar nominations are for acting: one for Jennifer Lawrence (Best Actress) and the other for John Hawkes (Best Supporting Actor). While the performances are by no means terrible or even slightly bad, they are also not extraordinary. They are just average. 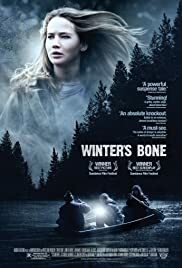 Winter’s Bone was underwhelming based on expectations but it was still good enough that I enjoyed watching it.